Say good-bye to messy silver foil rolls and hello to easy to use, convenient aluminum lids! These budget lids take the mess out of storing foods or other items in aluminum pans. Measuring 12.5"x10"x.5, these foil lids create a secure, hassle-free covering and easy storage for all your 1/2 size pans. 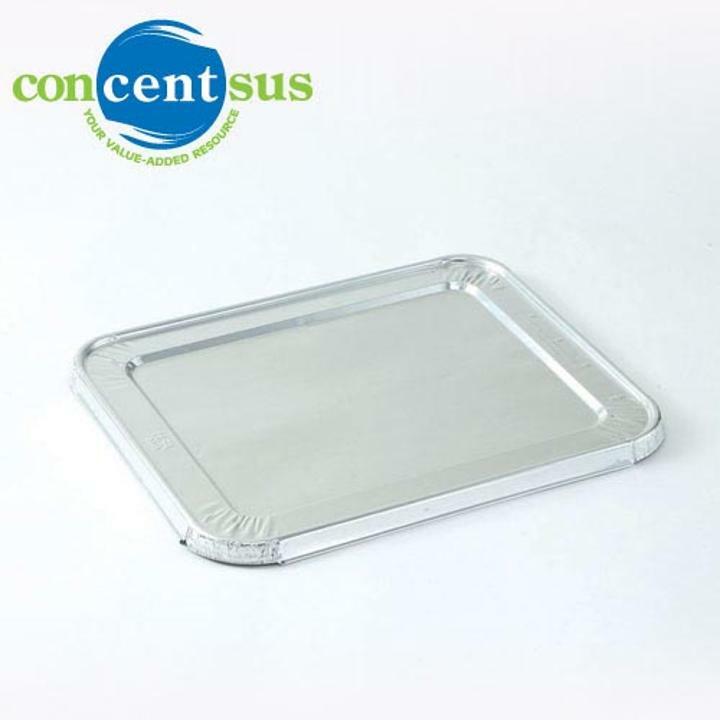 The Concentsus product line offers a budget friendly alternative to our premium quality line. 12.5 in. x 10 in. x .5 in. L: 12.5 in. W: 10.0 in. H: 0.5 in.